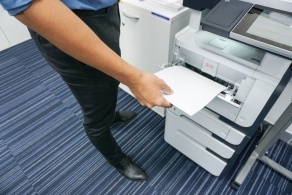 Are you looking to reduce the amount your company spends on printing? If you normally buy original manufacturers’ cartridges, you can make immediate savings by switching to compatible products. By adopting OWA solutions, you will be able to save an average of 30% on your consumables. Then there are further ways of reducing your printing costs ! At ARMOR we have drawn on our industrial expertise to develop the “JUMBO” range of innovative and attractive products. This is a range of remanufactured cartridges yielding a larger number of printed pages (i.e. 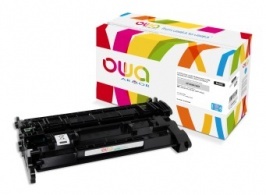 : extra printing capacity) compared with cartridges offered by original brands. These cartridges are designed in accordance with a rigorous test protocol to ensure perfect performance, with no premature deterioration of components and constant quality throughout their lifecycle. A higher print yield: as many as 200% extra copies ! 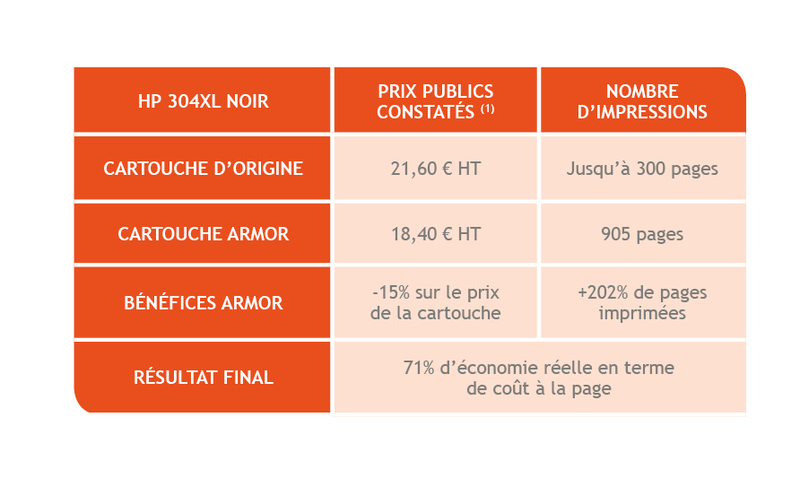 Greater savings: average savings of 40% as compared with original cartridges ! A cleaner environment: a higher print yield from fewer cartridges obviously means less waste ! To calculate the true savings, you need to work out the cost per printed page: JUMBO cartridges reduce the per-page cost by between 15 and 50%, as compared with standard versions. In this example: as well as the 28% saving on the purchase price of the OWA cartridges, you also benefit from a far higher print capacity in terms of the number of pages printed: +77%. All in all, the cost per page indicates that you can make a real saving of 59% ! 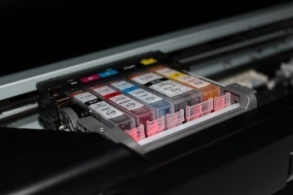 Multipacks are an even cheaper option for consumers: the cartridges are sold in batches of between two and five, often with a free item thrown in (for example an additional black cartridge at no extra cost). To meet consumer demand, ARMOR offers more multipacks than the OEMs. For instance, we have created a "Business Inkjet" range consisting exclusively of multipacks designed to meet your professional needs. 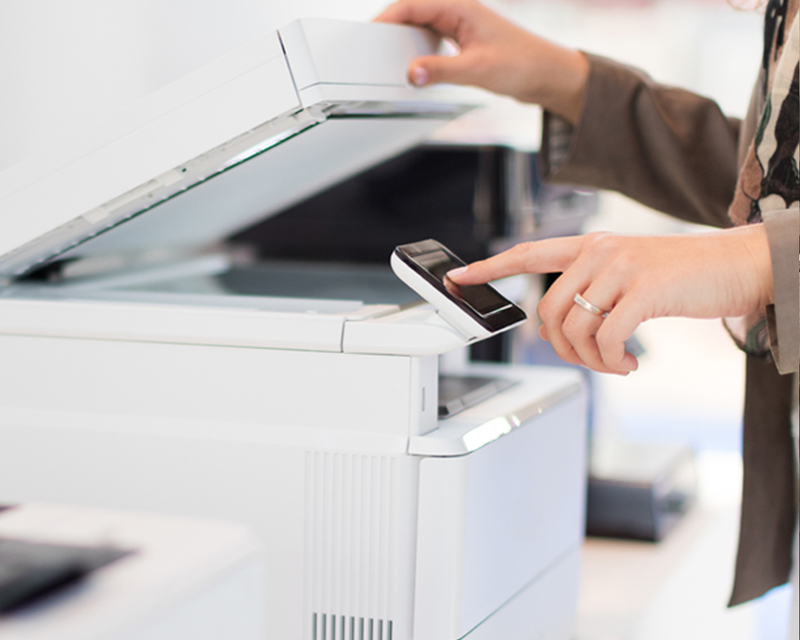 Have you heard about Managed Print Services ? Have you considered outsourcing the management of your printer pool and trusting experts to rationalize your printing costs? By using OWA Print Services, you can make even more savings by optimizing your printer pool. This solution simplifies management and enables you to identify and reduce all your printing costs. (1) Typical retail prices for original brands and OWA products as advertised on commercial websites, July 2017. OWA Print Services, offered by our network or retailer partners are intended for all businesses with more than 10 printers.